Online communication and social media has so many benefits. It has given us almost unlimited possibilities to communicate, find information and exchange our opinions and ideas. Despite these benefits, there is also a negative side to online communication and social media. 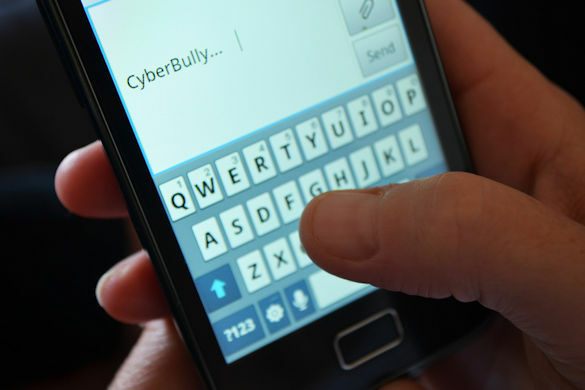 A recent report written by the Law Commission found that ‘online abuse is a widespread phenomenon in England’. A recent government survey showed that 41% of people have experienced online harassment and a recent Universities UK Taskforce report has pointed to the ‘growing prevalence of online harassment’ among university students. What is online abuse and harassment? Online abuse and harassment is the use of networked technologies (such as a smartphone, computer or tablet) to direct offensive, abusive, insulting or threatening words or images at an individual and/or group, in ways that are likely to cause them alarm or distress, intentionally or otherwise. Those affected by online harassment may experience a range of negative physical, psychological and emotional effects, which can include stress, anxiety and/or panic attacks and feeling that their physical safety is threatened. The University of Liverpool has a zero-tolerance stance on any form of harassment, whether it occurs online or offline, and is committed to tackling and preventing these practices on our campus. If alleged incidents of online misconduct are reported, they will be taken seriously and may lead to disciplinary action in the same way as incidents that take place in face-to-face settings. If you would like more information about behaviours that the University of Liverpool regards as online misconduct, as well as information about it disciplinary procedures and reporting systems that address it, please click here. Ask for advice and support – Online harassment can be very upsetting to those who are subjected to it. You may feel anxious, scared, angry and embarrassed. If you are experiencing online abuse or harassment talk to people you know and trust – whether that be a friend, family, a counsellor. If you would like to get advice and support in dealing with online harassment, you should contact Student Welfare, Advice and Guidance services at the University of Liverpool and/or the Liverpool Guild of Students who can help you. Please click here for further information. Report an incident – If you have experienced online harassment and would like more information about how to report an incident to student services at the University of Liverpool, please click here. If you would like more information about further online safeguarding measures you can take to minimize your chances of becoming a target of online harassment, please click here. Call it out: Be an active bystander – Be an active bystander and call out online abuse and harassment whenever you see it, so long as it is safe to do so. It’s important to support those being targeted by letting them know you are an ally. The Liverpool Guild of Students is rolling out active bystander training to hundreds of society committee members and other student leaders, equipping them with the skills and knowledge they need to identify harassment of all types, including online harassment, and #CallItOut. For further information, click here. In support of our zero-tolerance stance on harassment, the University is conducting research about online harassment. If you’ve experienced online abuse and harassment and would like to speak to our researchers about your experiences, please contact Fiona O’Rourke – F.O-Rourke@liverpool.ac.uk. All interview participants will receive a £15 voucher to cover their time. The project ends in February, so if you would like to take part, please contact Fiona as soon as possible.